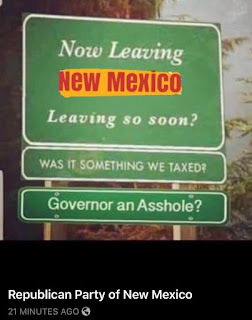 “New Mexico governor signs 42 bills lawmakers had on fast track” (Santa Fe New Mexican 2/4/19) http://www.santafenewmexican.com/news/legislature/new-mexico-governor-signs-bills-lawmakers-had-on-fast-track/article_96b91ed4-dbfa-55e5-8091-fa6dabf09e79.html “Today is a signal that we are in fact working together and we are in fact open for business,” Lujan Grisham told reporters while surrounded by Democratic and Republican lawmakers during a news conference in her Cabinet room. Gov. Michelle Lujan Grisham threw her support behind a comprehensive energy bill Thursday that could pave the way to a 100 percent carbon-free electric grid in New Mexico by 2045. (Albuquerque Journal 2/7/19) https://www.abqjournal.com/1278010/bill-calls-for-carbon-free-electricity-in-nm-by-2045.html the bill would require public utilities to derive 50 percent of their electricity from renewable resources by 2030, and 80 percent by 2040. They would completely eliminate carbon-emitting generation by 2045, relying on new technologies such as battery storage systems to make up the difference. “Energy bill seeks to aid switch from coal to renewables” (SFNM 2/7/19) http://nmpoliticalreport.com/2019/02/08/energy-bill-seeks-to-aid-switch-from-coal-to-renewables/ Gov. Michelle Lujan Grisham and several environmentalist groups on Thursday praised legislation aimed at ensuring the shuttering of the coal-burning San Juan Generating Station near Farmington and establishing ambitious targets for pushing New Mexico toward more reliance on renewable energy sources. If American politics has turned into a three-ring circus, this city in West Texas will hoist the Big Top [today], with President Donald Trump coming to rally for a border wall, Democratic wunderkind Beto O’Rourke leading a protest march and even the Trump Baby blimp putting in an appearance. https://www.usatoday.com/story/news/nation/2019/02/09/trump-beto-face-off-el-paso-dueling-rallies-near-border/2822324002/ The Trump rally at the El Paso County Coliseum will come only four days before the possibility of either another government shutdown or a declaration of a national emergency over what the president deems a national-security crisis at the U.S.-Mexico border. 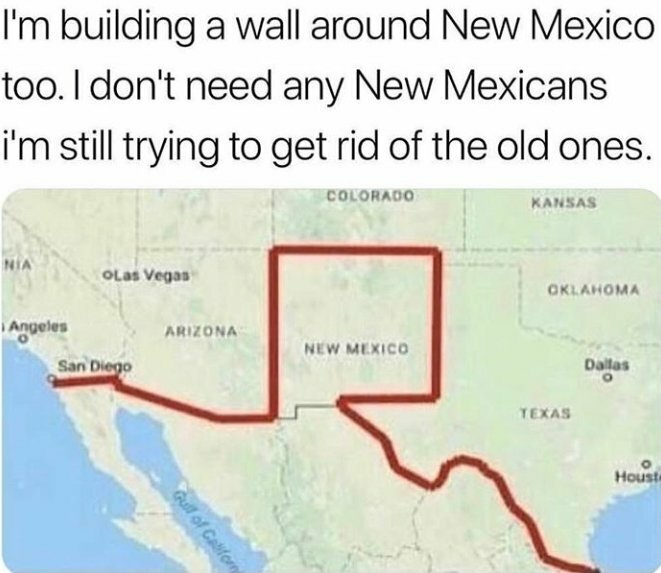 It also follows Trump’s State of the Union comments in which he tried to use El Paso as an example of why the United States needs to construct a wall along the border.